Capabilities as non-toxic, permanent, odorless and water resistant. Portable, clean to apply ,3 steps, quite simple to apply. 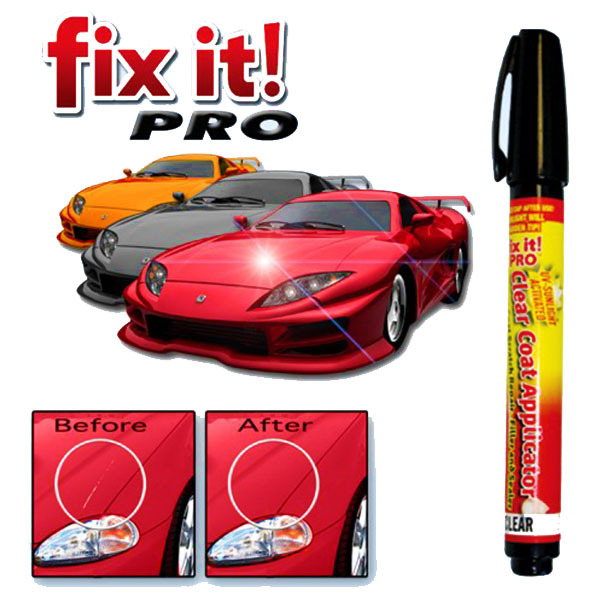 First-rate design for clearing coat scratch repair ,a must object for automobile fanatics and drivers. May be used on any automobile, in any shade, spare tip included, do not use it for a deep scratch. Maintain urgent until liquid flows out. 1, shake this applicator very well with cap on, practice it in shaded place. 2, top the applicator on a separate floor. With tip pointed down, press & launch spring tip on a floor until tip is saturated. Guard tip from sunlight! It is able to take 40 to 50 presses to saturate the end. Deeper scratches can also require additional packages. This device will harden within the sunlight & the cap should be on at all times the pen is not in use to save you the end from hardening. It can cure handiest the scratch without damage at the paint simple deep scratch that has been damage the bottom paint isn’t able to be cure by means of it. Clean selected region & dry earlier than the use of. While you put the top within the pen, please keep the small ends inwards whilst press the end, please provide it some time to get the liquid to flow into the top . If you have any query or trouble with the goods, please just send us a message and we can assist you to clear up it at earliest convenience.